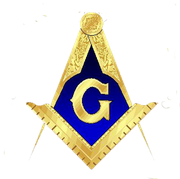 My masonic career began in Clinton, Kentucky at Hickman Lodge No.# 132 were I was raised to the sublime degree of Master Mason in December of 1985. After leaving Clinton I moved to Murray Ky. and worked as a police officer. Eventually I left Law Enforcement for full-time ministry. While serving at Wynnburg Baptist Church I petitioned and transfered to Harmony Lodge in Tiptonville, Tn. where I was a member for seven years. After that time, I moved to Martin, Tn. where I served on staff at Southside Baptist Church. While living in Martin, I transfered from Tiptonville to Martin City Lodge where I remained a member until moving to Tullahoma, Tn. I was a member of Tullahoma's lodge for 2 years until I moved back to Weakley Co. I now live in GreenfielD, Tn. where I am a member of Washington Lodge No.# 159. During my time as a member of Washington Lodge, through the help of Danny Earls and Doug Rial I have sat in the East as Worshipful Master of the lodge. I hold a lectures card and a proficiency card where I confer degrees and teach lectures.